The world hit peak conventional oil production in ca. 2005, just as predicted by Colin Campbell and others who looked at the world's conventional oil fields. However, global oil production has continued to rise even after the peak in conventional oil production due to unconventional oil, especially US shale oil in the Bakken, Permian Basin, etc. The US has added over 5 million bbls of oil production per day from these unconventional oil fields. Although US oil production is still rising, its looking like the unconventional oil plays in the US may also peak soon. For instance, oil production in the Permian Basin will probably peak within the next three years. If we hit "Peak Permian" in 2020, and if other unconventional oil fields also start to peak, then we will be right back looking at global peak oil again. Yes the predictions of a global oil production peak in 2005 were wrong----but global oil production will likely peak in ca. 2020, as we reach peaks in US Permian oil production and other unconventional shale oil production, and as conventional oil production continues to fall. Quite an old chart. What actually happened? The Permian's production is currently much higher than Eagle Ford or Bakken (the chart also just use production data from Hz wells). Also, Eagle Ford did much better than Bakken. Together, all basins reached more than 4 MMbbls/d (not less than 3). Also, don't be fooled by the production of the last two months, it lacks some data (TRRC). The production is going up, and will probably reach march 2015 level in the next months. But yes, the general idea is probably right... but we don't know when or how high. Forecasts (especially eia) tend to be wrong. tita wrote: yes, the general idea is probably right... but we don't know when .... Forecasts (especially eia) tend to be wrong. But its pretty clear that the growth in oil production from the Permian, Bakken, and other US unconventional sources is getting close to peaking. Sometime around 2020 is a reasonable date for that to happen. And when the US Permian peaks, the world will hit Peak oil (assuming no other new, very large deposit of oil comes on line, of course). pstarr wrote: Plant.... it's pretty obvious US tight-shale is about peaked already. .... Is 2020 optimistic? Closer to now might be more reasonable. Actually its pretty obvious that US tight-shale production is still going higher. Look at the latest data on US oil production---they show US oil production is still going up thanks to continued growth in tight shale oil production. We just hit an all-time high in US oil production last week. It hasn't peaked if its still going up. So if US tight shale oil production is still going up now, how much longer will it take until US tight shale oil production peaks? I started this thread because insiders in the Oil Industry who work in the Permian are talking about a 2020 peak in the Permian. These are people who are in a position to know exactly how successful current well completions are, and just how much more production can be increased. For instance the people at Pioneer Exploration (PXD) basically discovered the tight shale resource in the Permian and they say it will peak in ca. 2020. 2020 is the best current estimate for Peak Permian. And that will bring on global Peak Oil soon after. Re: Is Peak Permian Only 3 Years Away? I already started a thread on this topic. MODS---Would you please merge this thread into my existing thread on the PEAK PERMIAN? Plantagenet wrote: The world hit peak conventional oil production in ca. 2005, just as predicted by Colin Campbell and others who looked at the world's conventional oil fields. 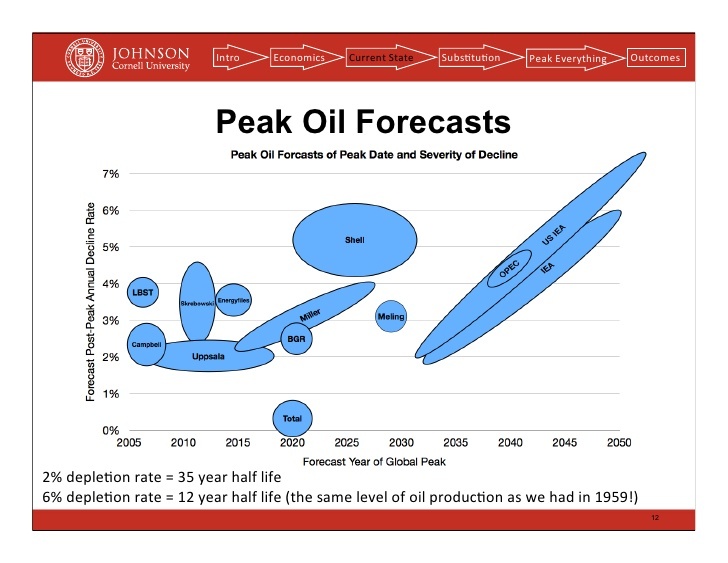 Colin Campbell predicted global peak oil back in 1990. Referencing just another one of his kick the can claims is amusing I suppose, quaint even. Amazing how references to Bakken output do not reflect the ATW pricing of 26 bucks per two years ago. Absolutely pointless to attempt to project future growth to an audience so determinedly fixated on scarcity, but - truth is - Permian, Bakken, EF, PRB, Austin Chalk, Uinta, along with SCOOP, STACK, Niobrara, Rogersville, TMS, and who knows how many others, will be pumping earl far, FAR off into the future. 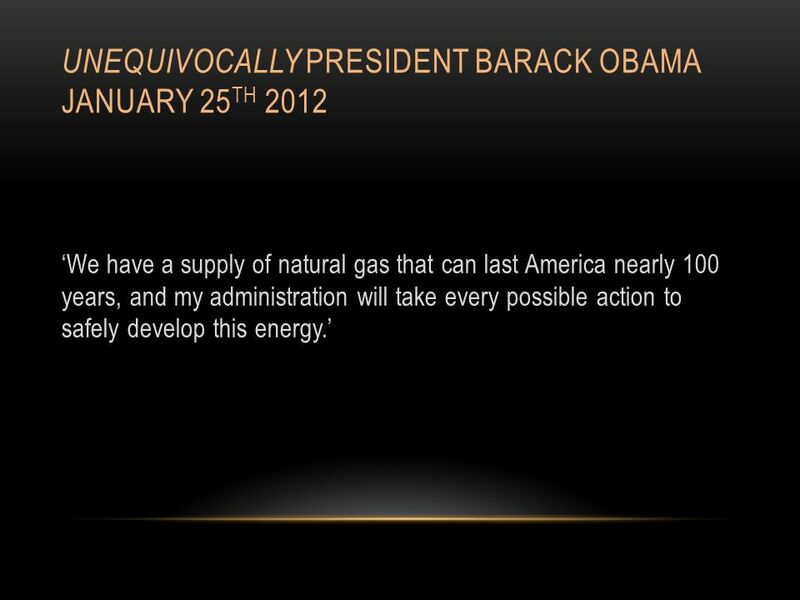 The amount of natgas to be produced in the US in 5 years time would make y'all heads explode. coffeeguyzz wrote: - truth is - Permian, Bakken, EF, PRB, Austin Chalk, Uinta, along with SCOOP, STACK, Niobrara, Rogersville, TMS, and who knows how many others, will be pumping earl far, FAR off into the future. But at some point production from the Permian etc. will peak, i.e. the amount of oil being produced will reach a maximum level and not go any higher. 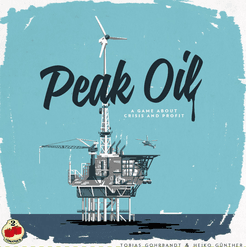 Thats what "peak oil" means----it doesn't mean no more oil will be produced after the peak. It means the production RATE will attain some maximum value ....and then eventually decline. Oil industry folks are predicting peak oil production from the tight oil shales of the Permian Basin will be reached in ca. 2020. I predict by 2025 or 2030 the US will begin to have natural gas vehicles in the market. We've got at least 20-30 years of natural gas. mmasters wrote: I predict by 2025 or 2030 the US will begin to have natural gas vehicles in the market. We've got at least 20-30 years of natural gas. I agree completely. After we hit Peak Permian in 2020, we'll see more NG cars. And just 5 years ago in his 2012 state of the union speech Obama proclaimed the US had a "100 year supply" of NG----that means we've got 95 years of NG left. suggest about 960 TCF of undiscovered shale gas (F50 estimate), also there are about 324 TCF of proved natural gas reserves (December 2015 estimate) so a total of 1284 TCF. Through the end of 2015 the US had produced 1449 TCF of natural gas so a rough URR estimate would be 2733 TCF, typically peak is around the half way point which would imply at 1400 TCF, so a peak in natural gas output may be imminent in the US. Note that 2016 output was slightly less than 2015 natural gas output. We could focus instead on shale gas only where we have 176 TCF of reserves for a total of (176+960) 1136 TCF. About 70 TCF had been produced at the end of 2015 (cumulative output from 2007-2015). So potentially a URR of 1206 TCF of shale gas, half of this would be 600 TCF (peak typically is near the 50% point or earlier). Shale gas output has grown at 15% per year from 2011 to 2015. We assume a 10% growth rate until present US natural gas output levels are reached (33 TCF/year) in 2024. After that we assume a 2% growth in shale gas output. The 600 TCF cumulative shale gas output level is reached in 2033 in this scenario. Where the US natural gas peak will fall will depend on the decline rate of conventional natural gas output relative to the shale gas output increase, but the peak is unlikely to be after 2034 if the USGS estimates are correct. A switch to natural gas for transportation would be a short term solution. Note also that the USGS f50 estimate for tight oil is about 36 Gb, 2P reserves are about 15 Gb or so and URR for tight oil is likely to be about 50 Gb (probably a 50% probability it will be between 40 and 60 Gb). I think US tight oil will peak between 2025 and 2030 at roughly 7.25 Mb/d, but much will depend on oil prices. World C+C output might reach 87.5 Mb/d, also in the 2025-2030 time frame, but may decline fairly rapidly after tight oil output peaks, possibly at 2.5% per year or higher for a few years. It is doubtful that OPEC, oil sands, or deepwater output can be ramped up quickly enough to mitigate this rapid decline in C+C output. Possibly ride sharing and EVs will help mitigate any transportation bottleneck. The electricity industry is planning to increase natural gas-fired generating capacity by 11.2 gigawatts (GW) in 2017 and 25.4 GW in 2018, based on information reported to EIA. If these plants come online as planned, annual net additions in natural gas capacity would be at their highest levels since 2005. On a combined basis, these 2017–18 additions would increase natural gas capacity by 8% from the capacity existing at the end of 2016. Depending on the timing and utilization of these plants, the new additions could help natural gas maintain its status as the primary energy source for power generation, even if natural gas prices rise moderately. The upcoming expansion of natural gas-fired electricity generating capacity follows five years of net reductions of total coal-fired electricity generating capacity. Available coal-fired capacity fell by an estimated 47.2 GW between the end of 2011 and the end of 2016, equivalent to a 15% reduction in the coal fleet over the five-year period. The electricity industry has been retiring some coal-fired generators and converting others to run on natural gas in response to the implementation of environmental regulations and to the sustained low cost of natural gas. The cost of natural gas delivered to power generators fell from an average price of $5.00 per million Btu (MMBtu) in 2014 to $3.23/MMBtu in 2015 and averaged $2.78/MMBtu from January through October 2016, the latest available data. Certainly wind and solar would be preferred, but natural gas is better than coal. Better energy efficiency is the best approach, more renewable energy next best, nuclear a possible next best approach, then natural gas, and coal would be the bottom of the list. My point is to cast your NG numbers in the light of increasing consumption on a rather large scale. Yes, preferable, but essentially a finite resource with growing demand. The IEA is predicting the US oil production will grow and grow until the US becomes a net oil exporter by 2027. But that is total BS! The analysts at the IEA always take an existing trend and extrapolate it out to infinity. IN this case they are looking at the rapid growth in US oil production over the last 10 years when the US added 5 million bbls/day of oil production from tight shale reservoirs. A-HA! says the IEA. If this trend continues for another 10 years the US will be the undisputed leader in global oil production! But the IEA is totally wrong. The idea that US shale oil production can increase year after year after year is silly. We're looking at Peak Permian in just 3 years in 2020---and other US shale production is also peaking as well. tita wrote: But yes, the general idea is probably right... but we don't know when or how high. Forecasts (especially eia) tend to be wrong. They certainly underestimated the crap out of the shale revolution. I suppose we need to run around multiplying everything they estimate by like 1.2 or 1.5 to get a better estimate?